NORMAL -- A Kingsley Junior High school seventh grader has a vision of what life might be like for Iraqi children. 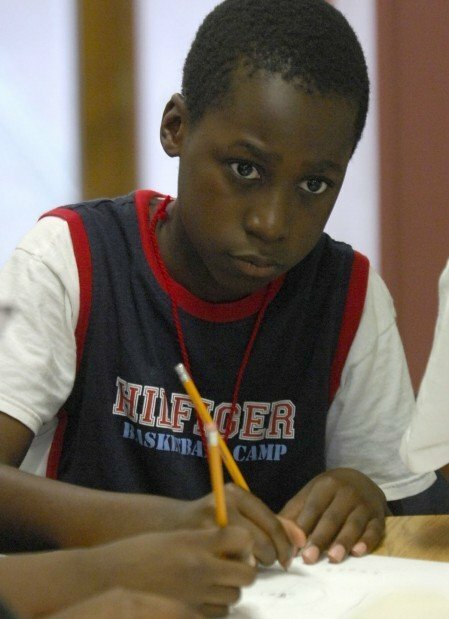 "I think they aren't just about war and they are just like us," said Tayo Adanri, while taking part in a project at Unity Community Center's summer enrichment camp. The 12-year-old is one of about 40 children ages 5 through 13 participating in "Journey to the Middle East." They are learning about life in Turkey, Iraq, Iran, Pakistan and Afghanistan. Twin City university interns researched and led the programs. During the focus on Iraq, children looked at murals painted by Iraqi children and made similar murals about their own lives. The murals depictured homes, religion, statues, culture and horses. The day-campers sketched murals about education, community, friends and family, and sports and music. The artwork eventually will become part of an exchange - Iraq Art Mile - to use art to overcome language, culture and politics. Adanri's group of about eight boys chose the theme of sports for their drawings. "Not everyone in Iraq is terrorists; they are civilized," Adanri said summing up what he learned. Brittini Gray, the camp's arts and craft program coordinator, is a junior at Illinois Wesleyan University. She arranged for four IWU art students to help the students finish drawing and painting the murals. The Iraq Art Mile is part of the Art Miles Murals, an international project initiated for the UNESCO Decade of Peace and Non-violence Among Children of the World: 2000-2010. 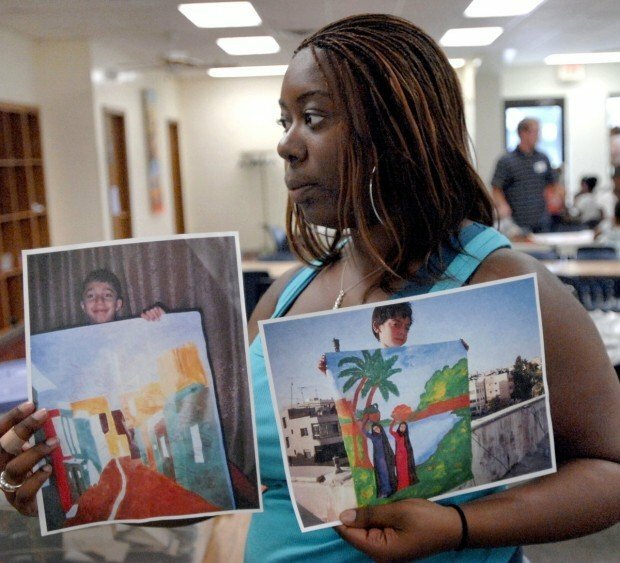 The Iraqi children's murals will be displayed at the community center, 632 Orlando Ave., until July 31.